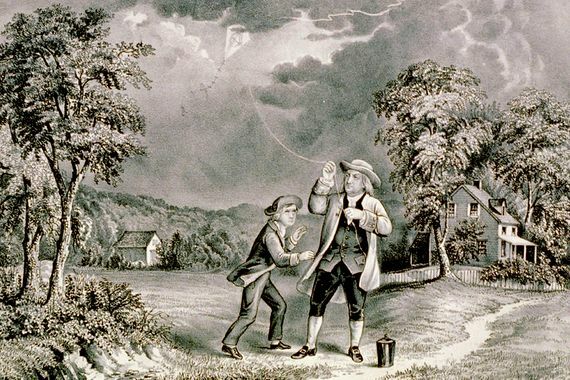 Start Lightning and Sparks: Did Benjamin Franklin’s Kite Actually Exist? 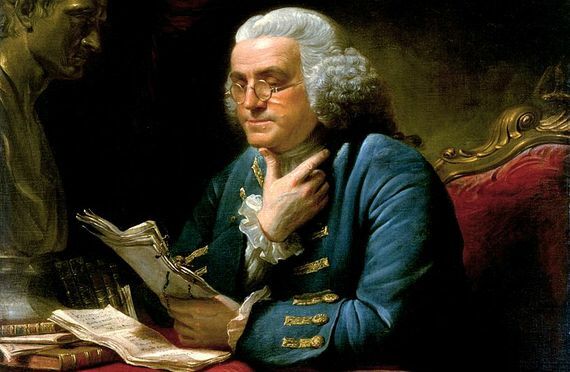 Lightning and Sparks: Did Benjamin Franklin’s Kite Actually Exist? That publisher was also a politician, inventor, scientist and one of the founding fathers of the United States. But despite the countless activities of Benjamin Franklin (17 January 1706 – 17 April 1790), the kite experiment has endured throughout the world as his best-known feat, considered as the birth of electrical science. In fact, the idea is widespread that Franklin discovered electricity thanks to a lightning bolt that struck his kite, proof that the development of history has created an amalgam of realities, myths and unknowns. The truth is that in that article Franklin did not attribute to himself the execution of the experiment, which together with the scant details has led some scholars to argue that neither the kite nor its flight ever existed. After the brief article by Franklin, the only detailed contemporary reference appeared in 1767 in History and Present Status of Electricity, the work of the English chemist Joseph Priestley, who allegedly gathered the data from Franklin himself. In 2003, Tom Tucker published Bolt of Fate: Benjamin Franklin and His Electric Kite Hoax (Public Affairs Books), arguing that the history of the kite had been a Franklin’s joke on the British Royal Society for not taking him seriously as a scientist. Tucker went so far as to try to reproduce the experiment, following the instructions published by Franklin, apparently without success: neither the kite flew, nor could he do what Franklin said he had done. But what was the experiment supposed to do? It is worth emphasising that Franklin did not discover electricity. This natural phenomenon had been known at least since ancient Egypt through the discharges of certain fish, and in the year 1600 the English physician William Gilbert coined the term in Latin electricus—meaning “like amber”—in reference to the property of this material to attract objects when rubbed. In the eighteenth century, static electricity was already a subject of study for several scientists, and Franklin became interested in it in the 1740s thanks to a gift from his friend, the English botanist Peter Collinson: a simple glass tube that was given an electric charge upon being rubbed. However, the relationship between this curiosity and the deadly lightning caused by storms had not yet been proven. Between 1749 and 1750, Franklin wrote to Collinson suggesting this relationship and a method to demonstrate it: by erecting a pointed iron rod atop a building and connecting it to the ground by a wire, he suggested that it would be possible to transmit electricity from the clouds to the ground and thus dissipate it to avoid lightning strikes. Therefore, Franklin invented the lightning rod, but through a curious half-failure: in fact his invention was not able to prevent lightning as he believed, but it would offer a path of least resistance so that the bolt of electricity passed through it and not the structure, achieving in any case the goal of preserving buildings. Collinson, intrigued by Franklin’s proposal, read his letters to the Royal Society, of which he was a member, and soon the American’s ideas spread throughout the European scientific community. As a result, on 10 May 1752 the Frenchman Thomas-François Dalibard carried out for the first time the Philadelphia experiment, proving that the lightning rod was capable of stealing electricity from thunderclouds. In the following months, the same experiment was repeated in England. For his part and without knowledge of these developments, in June of that year Franklin decided to abandon his idea of ​​waiting for the erection of a new spire at Christ Church in Philadelphia, opting instead for a bolder solution: elevating his lightning rod to the sky on a kite. Perhaps Franklin might have abandoned his plan if he had known that lightning could hit his device and cost him his life. But “lightning did not strike his kite,” archaeologist and historian Michael Brian Schiffer, author of Draw the Lightning Down: Benjamin Franklin and Electrical Technology in the Age of Enlightenment (University of California Press, 2003), tells OpenMind. Instead, the wet string of the kite transmitted the electricity from the clouds to the iron key and from there to a Leyden jar, a primitive capacitor. “I believe Franklin conducted the experiment, but it is generally misunderstood by critics and sceptics, probably because it wasn’t well described,” Schiffer adds.